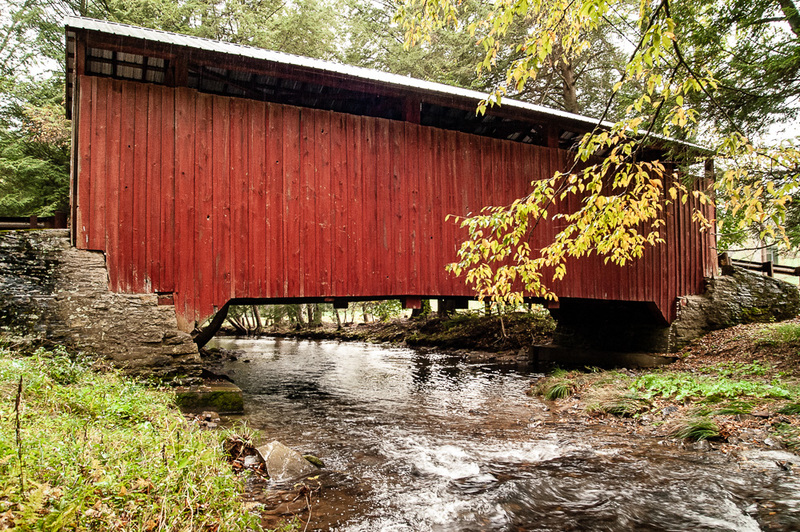 The Jud Christie Covered Bridge, also known as the Jud Christian Covered Bridge crosses Little Fishing Creek in Jackson Township, Columbia County, Pennsylvania. It is located on Ardens Hill Road, off Sereno Hollow Road in the north of the County. 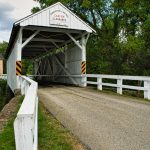 It is the second of three remaining covered bridges along with the Sam Eckman Bridge and Creasyville Bridge crossing Little Fishing Creek with all three covering a distance of less than 3.5 miles. 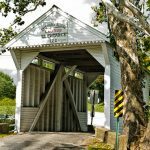 This Queen Post truss bridge was originally built in 1876. 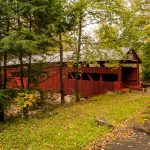 It is 56-feet 8-inches with board and batten siding and a sheet metal roof. It was built by William L Manning for a cost of $239. The stone and mortar abutments remain in very good condition as does the wooden decking having been rebuilt in 1996. The bridge is owned and maintained by Columbia County and is open to vehicles. The bridge was named after local farmer and lumberman, Jud Christian. The portal, however, now shows the bridge’s name as Jud Christie. 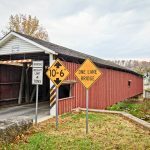 The Jud Christie Covered Bridge is one of 23 covered bridges in Columbia County. This is the third largest concentration in Pennsylvania. 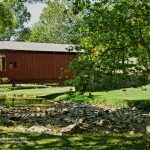 Like all covered bridges, the Jud Christie Covered Bridge is listed on the National Register of Historic Places. It was listed in November 1979.